The new Ranger Raptor was tested with more than a 10-speed automatic. 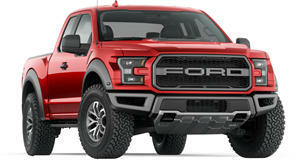 Before the brand-new Ford Ranger , we heard rumors there was going to be a badass Raptor variant. Interestingly, Ford decided to reveal the so far overseas only Ranger Raptor with a 2.0-liter twin-turbo four-cylinder diesel. This engine will almost certainly be switched out with a gasoline alternative if the Ranger Raptor is eventually . What this Raptor and the hopeful US version may have in common is a 10-speed slushbox. According to CarAdvice, however, the Ranger Raptor was even tested with 12- and even 13-speed units. Ford tested a number of different transmissions when developing the Ranger Raptor. John Fallu, transmission and driveline engineering manager for Ford Asia Pacific, said the company settled on the 10-speed automatic from the F-150 Raptor because it met “both our refinement and performance benchmarks.” Fallu went on to say in the interview that “the torque converter is selected specifically for trying to meet, and improve, the launch performance of the engine, so as to meet customer expectations.” Having , we can say that Ford made a good choice here. Ten gears may seem like too much to some people, but Fallu says that “as far as refinement goes, it’s just incredible. Even the shift busy-ness you would expect from more gear shifts just isn’t perceptible, because it’s just so smooth in that regard, almost imperceptible, and there’s even rev-matching on the downshifts.” Ford also tried out transmissions with seven, nine, 12 and even 13 gears before settling on the 10-speed. It seems likely that no matter what engine powers the US-spec Ranger Raptor, it will use the 10-speed automatic. However, it seems like we aren't too far away from cars with 12 or even 13-speed transmissions.